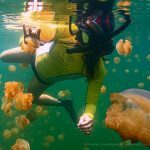 To make sure you get a holistic experience of Palau, we suggest a few activities you can do topside in between dives or after your cruise with us. After being isolated for more than a millenia, the millions of resident jellyfish have completely lost their sting. 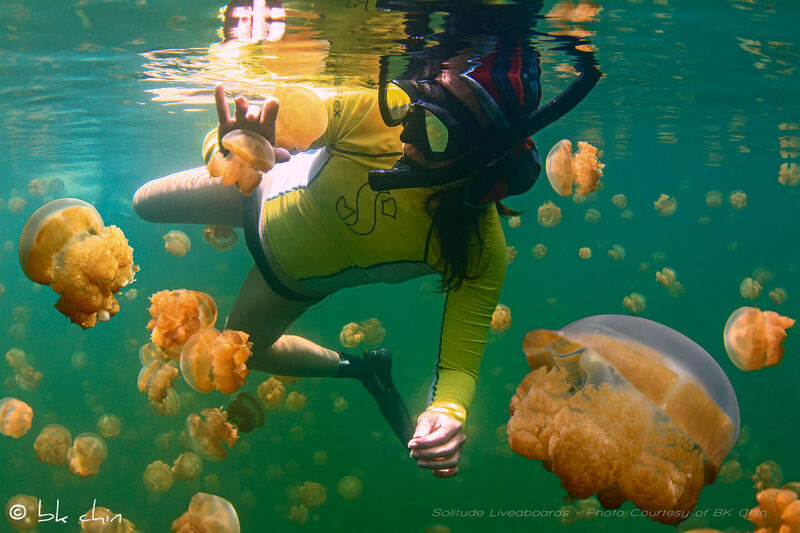 No longer needing it to fight off predators, these pulsing jellies spend their days catching the sun’s rays to farm their own food supply of algae. 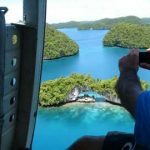 The best way to see Palau is on a boat weaving around the islands and then have a picnic on ‘Survivor’ island, with is powder sand beaches, swaying palms and cool clear waters. A treat for the senses, this special enclave is tucked among the islands and only privvy to those “in the know”. Surrounded by steep cliffs and lush greenery, its turquoise waters get their colour from the special mud beneath. Known for its healing and aesthetic properties and healped with minerals and antioxidants, slather your body and luxuriate in this natural spa breaking the bank! 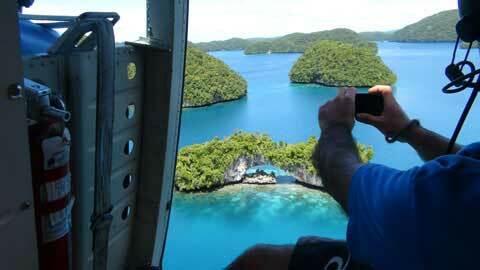 For something extra special, you can take a chopper ride for a birds’ eye view of Palau. Marvel at the rock formations, capture stunning images of its natural beauty and take home memories of a genuine paradise. 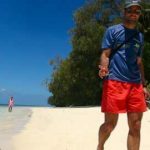 Tour Cost and payment with Helicopter Tour Operator directly. We will assist in checking the availability and making the tour appointment. 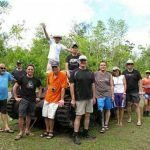 For history buffs, especially World War II, Peleliu Island is one of the famous and considered the bloodiest battle in the pacific.. 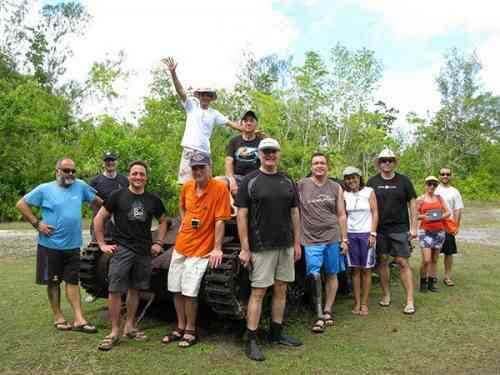 Skip a dive and take a tour with the local island tour guide and visit historic landmarks, WWII relics and learn more about the battle on the island. A pictorial walk by Aaron Wong can be found on his page to learn more about the tour. 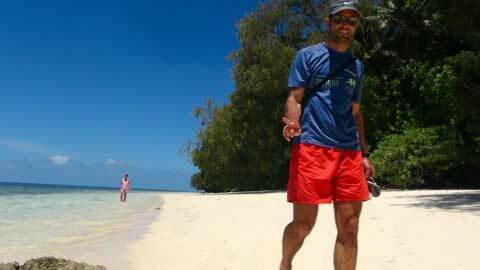 Tour Cost and payment with Tour Operator directly. We will assist in checking the availability and making the tour appointment.